African hunters love their kudu! With his white stripes, grey hide and wonderfully spiralling horns he is the most recognizable of all African antelopes. In today’s Africa the greater kudu is usually at the top of the wish list for hunters on their first safari….and, for old veterans, including me, the kudu is an animal we always return to, still searching for that monster bull. The greater kudu is the stuff of legends, the climax of Ernest Hemingway’s Green Hills of Africa…. and the final tragedy of Robert Ruark’s Horn of the Hunter. The lesser kudu, well, he’s just as elusive and to my eyes even more beautiful. And yet, in the entire rich body of the literature we call Africana, I am not aware of a single volume devoted entirely to Africa’s Gray Ghost. 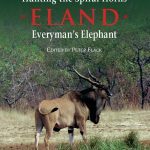 Now we have one well written and equally well researched by Peter Flack, and including chapters by some of Africa’s greatest hunters…. all of whom, as we all do, love their kudu. Think again if you reckon you know all about kudu. I foolishly thought I did and I have been humbled. This book opened my eyes to my inadequacies. Beautifully written and masterfully assembled, this new book is a treasure trove of valuable information, useful hunting tips, tried and tested techniques and interesting anecdotes. So much so that I will never again look at a kudu with the same eyes. Peter Flack’s latest effort is destined to become a classic. This is the definitive work on these magnificent antelopes. 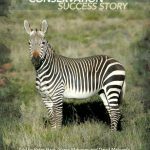 Peter Flack, one of the most credible and authentic protagonists of the hunter-conservationist cause, has produced a book that will further cement his formidable reputation. 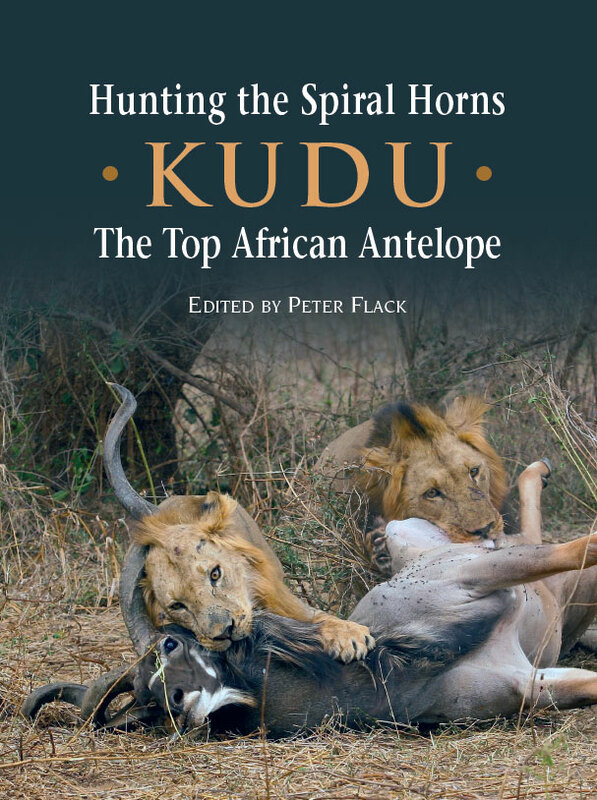 Hunting the Spiral Horns - Kudu, the Top African Antelope, edited by Peter Flack, is the first in a five book series covering all the spiral horns and is designed to be the definitive book on hunting the six species and sub-species of kudu. It is a big book, nearly 300 pages long with in excess of 400 color photos. The 16 hunters and authors who contributed material specially written for the book reads like the Who’s Who of kudu hunters and includes luminaries such as Anthony Dyer, Brian Herne, Robin Hurt, Alain Lefol, James Mellon, Jason Roussos and Tony Tomkinson to name but a few. The book also includes the exploits of famous hunters of yesteryear such as Maydon, Selous, Swayne and others and chapters on rifles and ammunition, clothing and equipment and two “How To” chapters by passionate and very experienced kudu hunters.